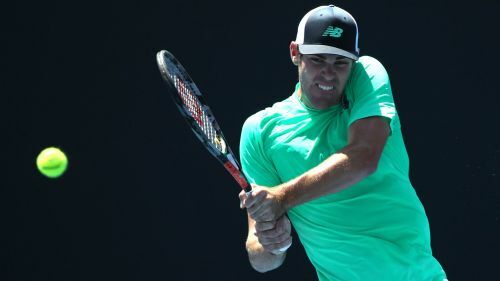 Reilly Opelka broke through for his first ATP Tour trophy after ending the dream run of Brayden Schnur in the New York Open final. Schnur had never won a main-draw match prior to the ATP 250 tournament in New York, where the 23-year-old Canadian qualifier stunned sixth seed Sam Querrey in the semi-finals. Despite saving two match points in the second set and five in total, Schnur was unable to cap a fairytale week with victory as big-serving 21-year-old American Opelka prevailed 6-1 6-7 (7-9) 7-6 (9-7) on Sunday. After combining with John Isner to set an ATP record for aces in a three-set match (81) following Saturday's semi, first-time finalist Opelka - who fended off six match points against the top seed - fired down another 43 aces against Schnur. That was a tall order, but Reilly Opelka gets it done!